We recently had a fun card swap over at SOME ODD WORLD. It really is the most wonderful community. Why don't you drop by and become a member?? This is the card I created for my swap friend Zoe. 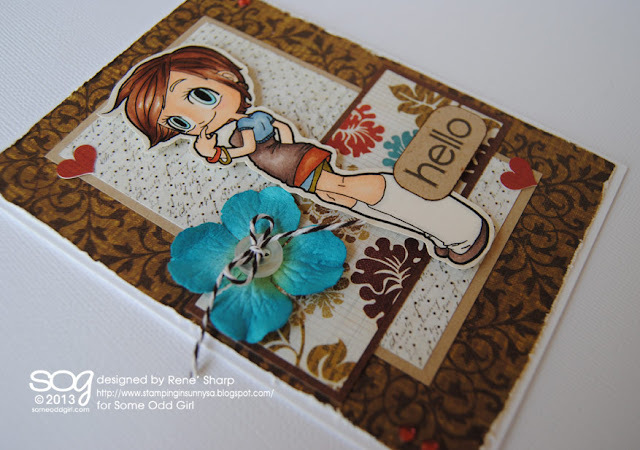 The image I used for this card is COY KAYLEE. Isn't she just adorable?!? She can be purchased HERE.